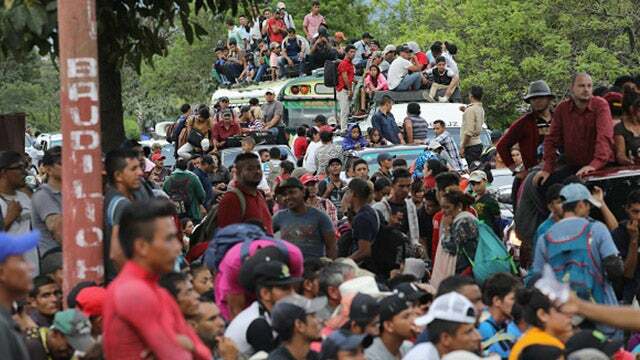 RUSH: Donald Trump, the president of the United States, has "has strongly informed the President of Honduras that if the large Caravan of people heading to the U.S. is not stopped and brought back to Honduras, no more money or aid will be given to Honduras, effective immediately!" The Drive-Bys are eagerly covering this caravan, desperately hoping for it to arrive. Trump is saying if you don't turn 'em back, then you can forget any aid from us. We'll see what happens. 'Cause he means it.